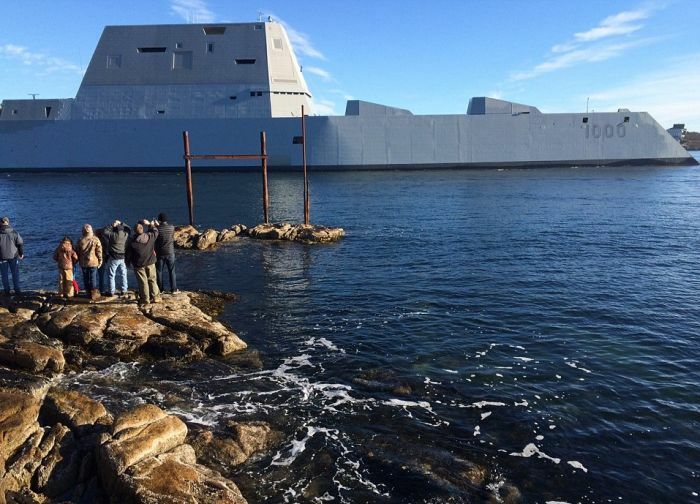 The U.S. Navy recently started sea trials with their new stealth destroyer. 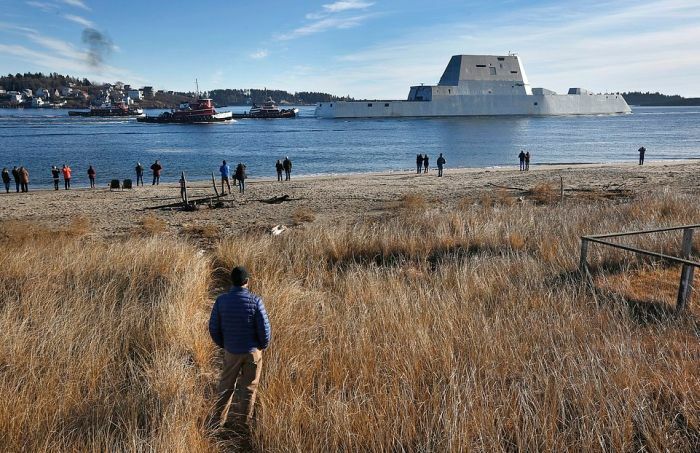 The vessel is the largest stealth destroyer the U.S. Navy has ever built and it uses electromagnetic energy that allows it to fire a rail gun shell at a speed of 5,4000 mph over the course of 100 miles. 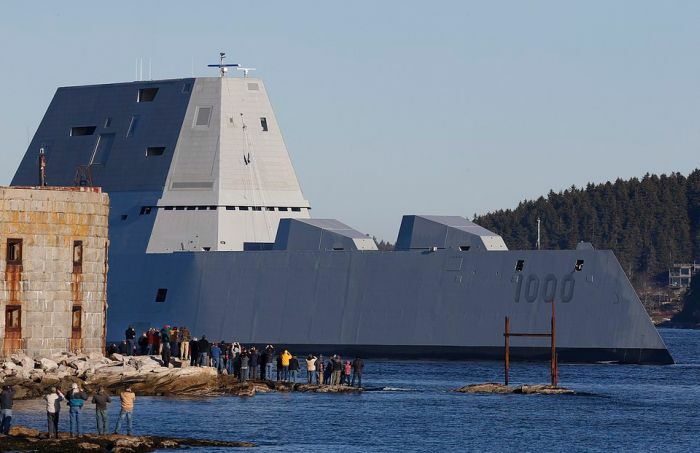 If it were just a little bigger, it would be a small battleship. BTW, I think you have an extra zero on 5,4000. American's enemies are "within" the country. You don't need a stealth battleship to fight the enemies in the streets of New York. Looks like the weapon manufacturers lobby is still strong and the US politicians are always ready to spend the tax payers money on stupid projects. 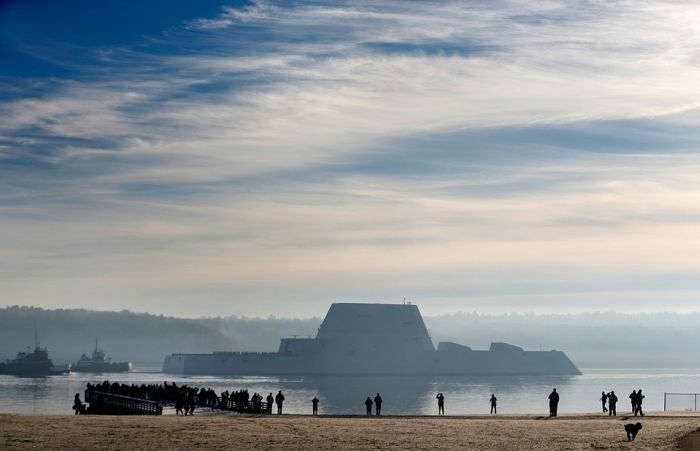 USS Zumwalt is a huge ship but Uncle Sam contractors claim it's stealth because it has that shape. 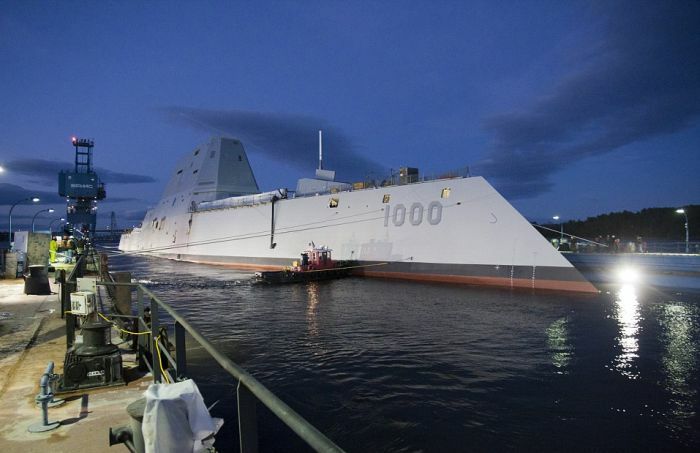 Right, stealth.... 180m long ship. Satellites can see objects the size of a shoe box. 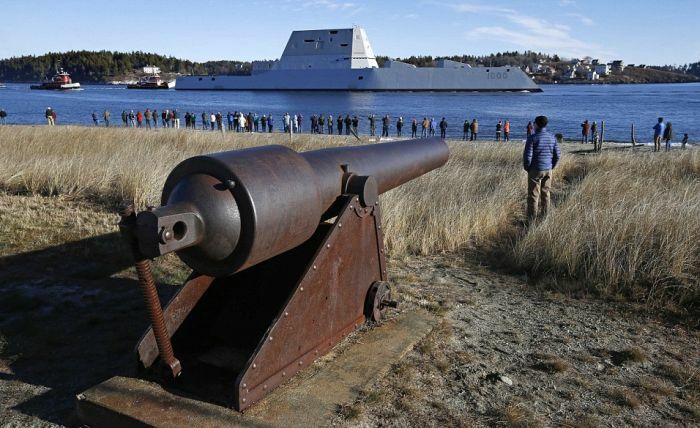 I don't think any of this would have trouble detecting a ship 2 football fields long. Destroyers destroy, thats what they do. Thats all they do. I think this is a stupid ship, but your point is mistaken: no ship-ship combat today would take place anywhere near visual range. Hell, battleship gunnery in 1940 was expected to take place at 6-7 miles. 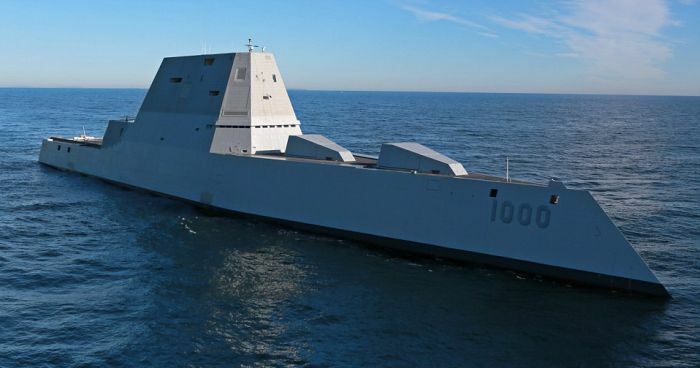 So the 'stealth' has entirely to do with radar. 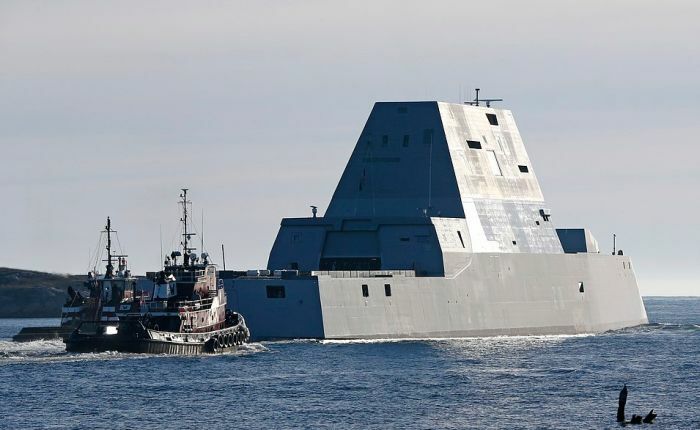 More significantly, this ship has a MILLION-WATT radar of its own, operating nearly all the time. In this case, for the 'stealth' to make any sense, you'd have to shut that off, leaving the ship nearly blind. 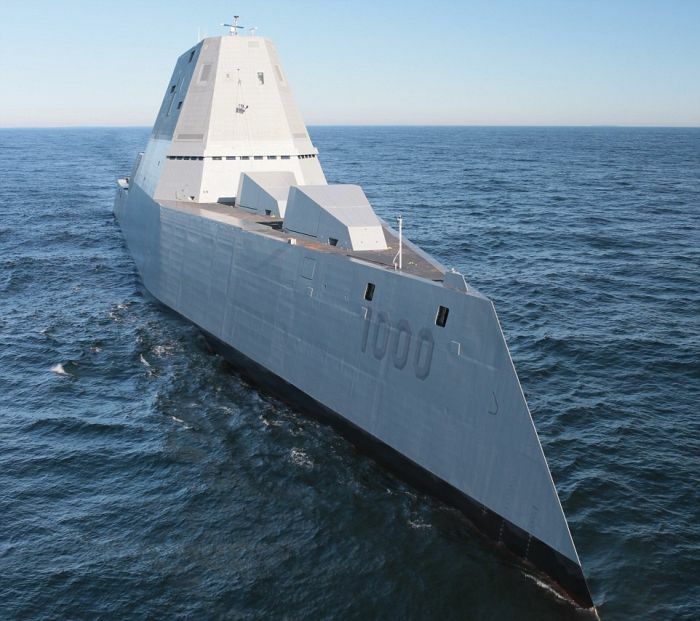 Would a stealth submarine not have been a better investment? Much more covert, and probably a similar price-tag.